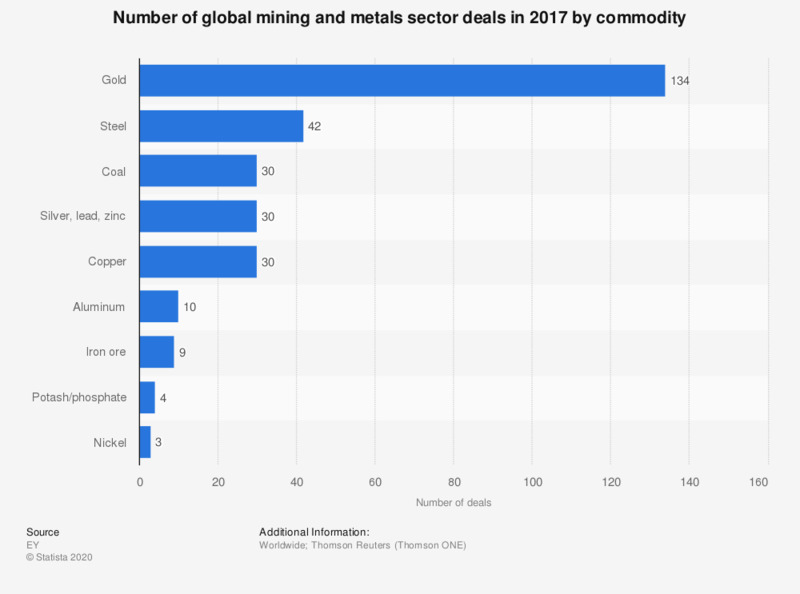 This statistic depicts the number of global mining and metals sector deals in 2017, by major commodity. In that year, there were 134 deals regarding gold worldwide. Thus, gold was the top acquired/targeted commodity in 2017. Only completed deals are included. Deals identified as incomplete, pending, partly incomplete, unconditional or intended as of December 31, 2017, were excluded.